Kahler Financial Group proudly supports Lifeways, Incorporated. Lifeways, Inc. is a South Dakota State Accredited Adolescent Prevention, Early Intervention & Outpatient Counseling Agency. Lifeways impacts over 4,000 students every year with 8 professional alcohol and drug counselors with offices in the schools. Our very own, Sarah Swantner serves on the board for this impacting organization. 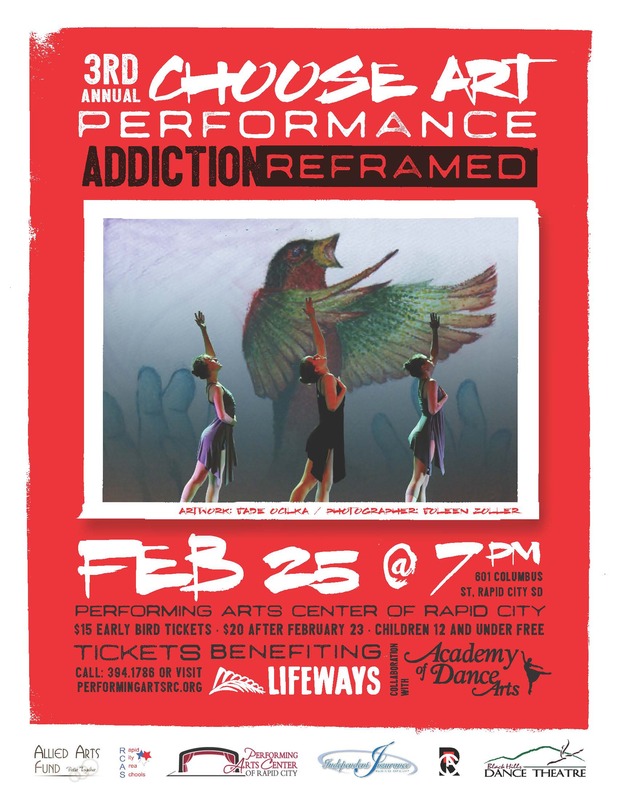 Lifeways, Inc is hosting the 3rd Annual Choose Art Performance, “Addiction Reframed”, and we have been given several tickets to give away to our clients and would love for you to join us. It will be held at the Performing Arts Center of Rapid City on February 25th at 7pm. If you would like to enjoy an evening celebrating our youth in Rapid City and learn more about Lifeways, please call or email Sarah at Sarah@kahlerfinancial.com or 605-343-1400 ext. 115, to get your tickets to this wonderful event.